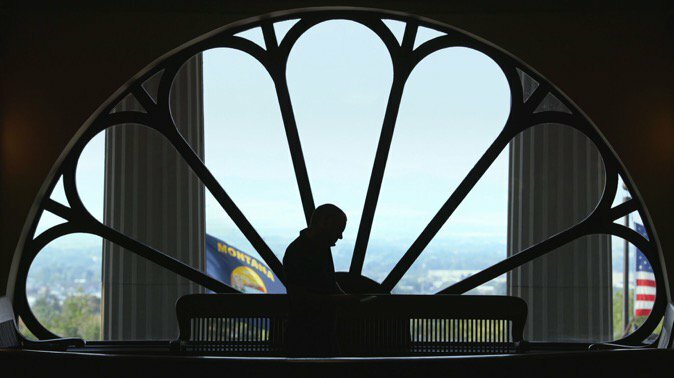 In October 2018, POV asked Dark Money filmmaker Kimberly Reed what's happened since the cameras stopped rolling. When I heard about the Citizens United ruling by the U.S. Supreme Court I had many questions about the ruling and the unlimited, anonymous money it would obviously unleash in American politics. When I realized my home state of Montana was leading the charge against Citizens United I knew I had a film, in large part because I had a sense of how average citizens would react. What is John S. Adams up to? The Montana Free Press? I'm happy to report that John no longer lives in his truck! Montana Free Press is going strong at https://montanafreepress.org. He has gotten engaged, hired his first employee, opened his first office, and is sticking with his watchdog reporting. However, as usual, I cannot predict the current state of his facial hair. What was it like talking to politicians from your home state? Talking to Montana politicians is pretty straightforward because they're citizen legislators, which means they're much closer to real people than professional politicians. Interviewing them for Dark Money came naturally, again, due to the fact that I was raised there and feel like I know those folks. It was rewarding to discuss the issue of campaign finance reform, which has a lot of bipartisan support, during a politically divisive time. In addition to money in politics, the film can also be seen as a commentary on the state of local journalism. Do you agree? Absolutely! It was really important to me to tell the story of John S. Adams' struggles to survive as a journalist, because he's also emblematic of what's happening to journalists across America. Moreover, it's crucial for viewers to realize that rigorous journalism is required to "follow the money." I'm following the story of urban development versus gentrification in downtown Newark, and remain intrigued by a story about monks who train puppies. I'm also developing films that need to gestate beneath the surface, so can't really talk about those projects right now. Believe it or not, I co-wrote an opera titled Today It Rains, which will premiere in 2019, and another called Postville, set for a 2020 debut. Updates to come on my website.